ince its establishment, Freedom has probed reports of misconduct by government officials with the view of eradicating abuses, holding those in public service accountable for their actions, and bettering conditions. Primarily through the use of the Freedom of Information Act and interviews of eyewitnesses and authorities, Freedom has investigated and opened a broad range of subjects to public viewmany for the first time. 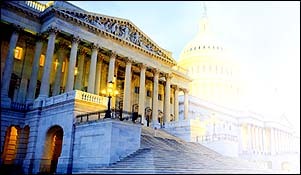 At times, the evidentiary trail can be coldas in the late 1970s and early 1980s, when Freedom researchers pored over heavily censored government financial records of 1950s secret experiments with drugs and chemical/biological warfare agents conducted under such code names as MK-DELTA, MK-NAOMI, MK-SEARCH and MK-ULTRA. The largest of these projects, MK-ULTRA, is now virtually synonymous with intelligence agency misconduct, due in no small part to stories that first appeared in Freedom. Proposed by future CIA boss Richard Helms to then-CIA director Allen Dulles, MK-ULTRA started in 1953, lasted nearly two decades and included numerous sub-projects. At the time of his proposal, Helms ran the agencys Clandestine Services, often referred to as its dirty tricks department. MK-ULTRA was run by an agency unit known as the Technical Services Staff, headed by Dr. Sidney Gottlieb. In 1980, one of the long series of stories that Freedom broke involved MK 78, an MK-ULTRA sub-project whose purpose, according to a November 9, 1962, document, included the development & testing of ... BW [biological warfare] harassment systems and for large scale production of microorganisms. The sub-project served as a cut-out for drugs & other materials, according to the papers. Utilizing a special machine called a biogen, germsincluding cultures that could cause fatal illnesseswere mass-produced. MK 78 receipts showed that taxpayers money continued to be spent, at least through 1972, on this biological warfare endeavor, despite a 1969 presidential order that banned production and stockpiling of biological weapons. Swarms of mosquitoes bred by the Army Chemical Corps at Fort Detrick, Maryland, were released over a predominantly black Savannah neighborhood in 1956. Rare in the United States, the species used, Aedes aegypti, can carry yellow fever and dengue fever. Not surprisingly, a multitude of adverse effects were later reported, as from an elderly woman who blacked out and had to be taken to a hospital with bites all over her body after being, in her words, covered by a dark cloud of mosquitoes. She never walked properly after the harrowing episode. Other victims came forward after Freedom unearthed the story. Freedoms ground-breaking investigations into joint CIA-military testing of chemical and biological warfare agents on unwitting sections of the population included Operation Big City, in which hundreds of New York City subway passengers were exposed to bacteria. Freedom also revealed that personnel from the Special Operations Division utilized specially modified suitcases in 1964 and 1965 to spray bacteria on unsuspecting passengers in Washington, D.C.s National Airport and Greyhound bus terminal. Those tests, intended to study the consequences of the use of smallpox or other biological agents in public places, employed Bacillus subtilis, a germ since found to cause symptoms of respiratory infections, blood poisoning and food poisoning. Based on tickets sold at the time of the tests, Special Operations Division staff calculated that infected passengers transported the bacillus to more than 200 cities. 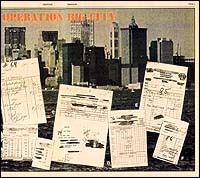 Freedoms coverage of the government-sponsored chemical and biological warfare tests included, in 1979, exposing Operation Big City, covert biological warfare experiments conducted in the New York subway system in 1956 by the CIA with the cooperation of U.S. Army personnel. As Jimmy Breslin wrote in New York Newsday in 1998 regarding the New York experiment originally exposed in Freedom, If there had been scrutiny from the day of the test on, common sense tells you that over time, the mortuary reports would indicate a stack or so of dead. Breslin noted that the Church of Scientology had been alone at the time in publicly expressing outrage over such experiments. In 1980, Freedom published an analysis of CIA records which showed that the agency had sponsored biological warfare tests in Florida in 1955. These tests were linked to an outbreak of whooping cough in that state which claimed the lives of 12 people, half of them children under the age of one. Freedom and the Church of Scientology also took measures to ensure survivors of the testing programs were located and assisted, and campaigned to eradicate the use of chemical and biological weapons. In 1994, against the background of human radiation experiments that were front-page news at that time, media reported zinc cadmium sulfide tests (a chemical selected because it fluoresces under ultraviolet light and because the size of its particles resembles those of biological agents) first exposed by Freedom more than a decade before. A Minneapolis television station aired an investigatory series on experiments in the Twin Cities area. Those broadcasts, utilizing documents obtained by Freedom and the Church of Scientology, included interviews with people stricken by strange and inexplicable illnesses following the tests.